All RIDGE OF SILVERADO HILLS homes currently listed for sale in San Antonio as of 04/20/2019 are shown below. You can change the search criteria at any time by pressing the 'Change Search' button below. "WONDERFUL CONTEMPORARY HOME WITH A OPEN FLOOR PLAN. 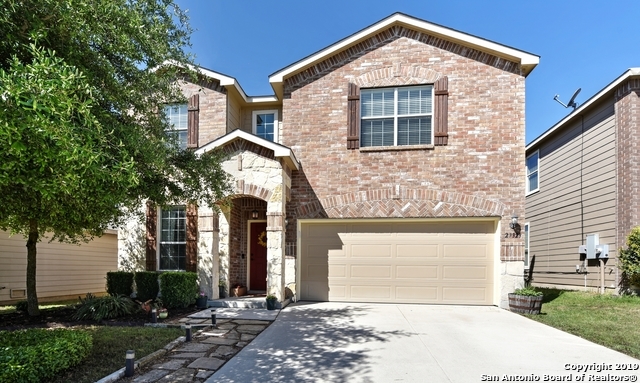 LOCATED IN THE DESIRABLE COMAL SCHOOL DISTRICT IN THE RIDGE OF SILVERADO HILLS COMMUNITY. THIS HOME BOAST A SPACIOUS MASTER BEDROOM/BATHROOM W/ GARDEN TUB AND WALK IN CLOSET, 2 LARGE LIVING ROOMS, AND HAS EXCELLENT CURB APPEAL. PERFECT FOR ENTERTAINING AND RAISING A FAMILY. MOVE IN READY."